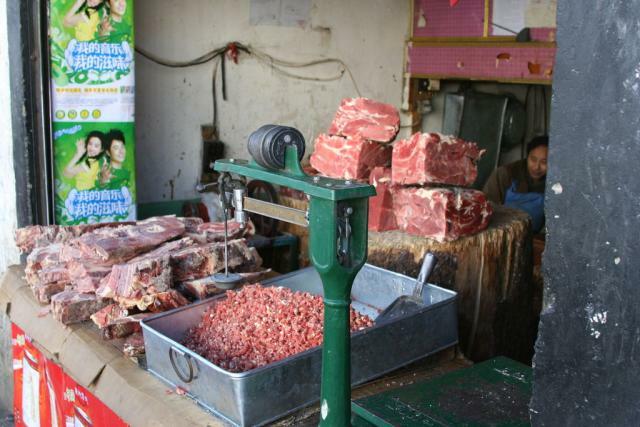 On any visit to Lhasa, there are a few sites you just can’t miss. 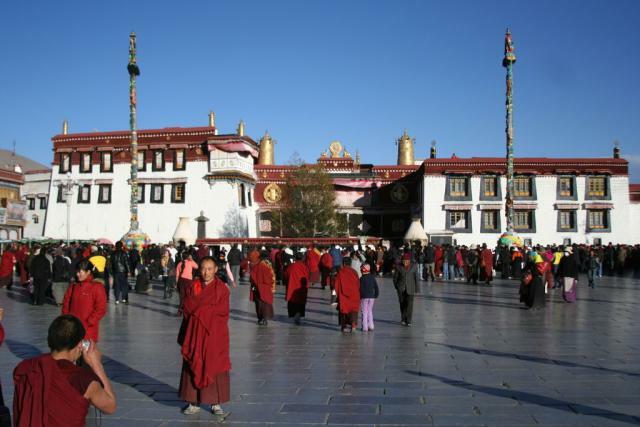 In addition to Jokhang Temple (as discussed in our last post), the must-see attraction is Potala Palace. As we arrived by bus from the airport, I suddenly caught a glimpse of the Palace. 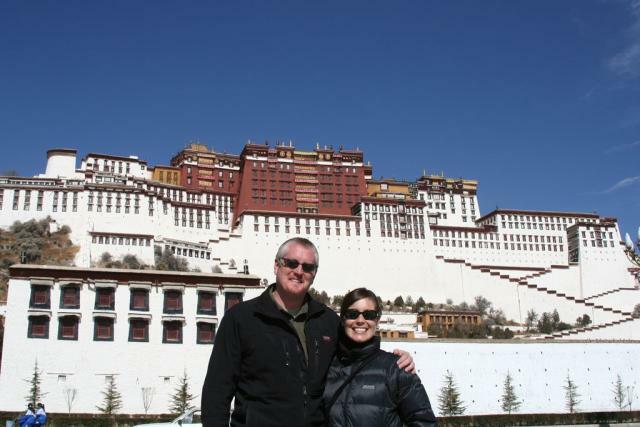 Built into the side of a hill, the Palace rises above the rest of Lhasa enabling a view of the striking building from most vantage points in the city. Construction of the Potala Palace commenced in 1645, with the white palace completed in 1648 and the red palace completed in the 1690s. In total, the Palace consists of 1,000 rooms, 10,000 shrines and 200,000 statues. 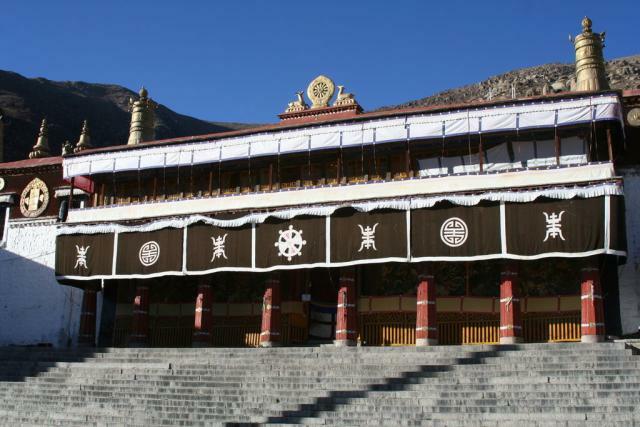 The white palace was used as the Dalai Lama’s winter residence while the red palace was devoted to religious study and prayer and houses the tombs of several former Dalai Lamas. Fortunately for visitors, the number of people allowed in the Palace each day is limited. During our visit, we felt like we had the place to ourselves most of the time. It was especially interesting to see the former living quarters of the Dalai Lama. While not spartan, the residence was definitely not as opulent as many of the royal palaces in Europe. 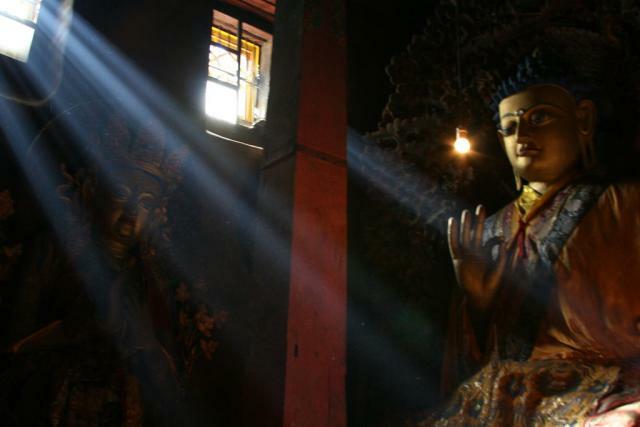 In what was probably the highlight of our stay in Lhasa, we visited the Sera Monastery. 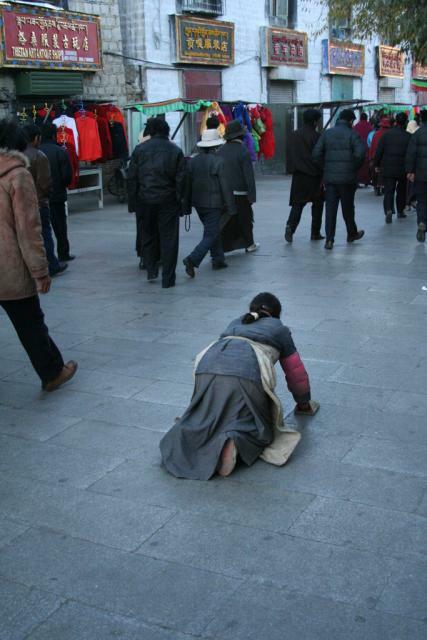 Prior to the Cultural Revolution, the monastery housed some 5,000 monks; now, a few hundred remain. There are multiple chapels in the monastery. In one, we found gorgeous statues and a large group of pilgrims fighting their way around the chapel. In another, we happened upon a ceremony where dozens of monks were chanting in deep voices – somewhat soothing, but also a little frightening. At 3:00 p.m., we headed to the garden near the monastery. 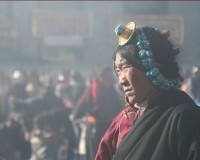 Every day, hundreds of monks gather there for 2 hours of furious debates. From our observations, the monks split up into groups of 2 or 3 monks, with 1 of the monks assigned the duty of asking the other monk(s) a serious of questions. 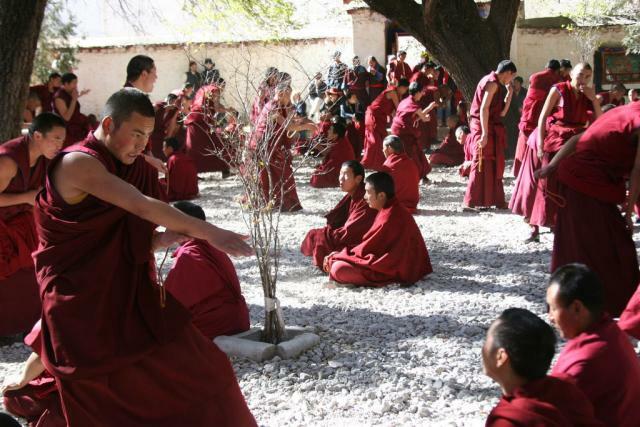 Depending on the answer or in order to make a point, the questioning monk slaps his hands together in a somewhat violent manner. It makes the US Presidential Debates look incredibly boring. 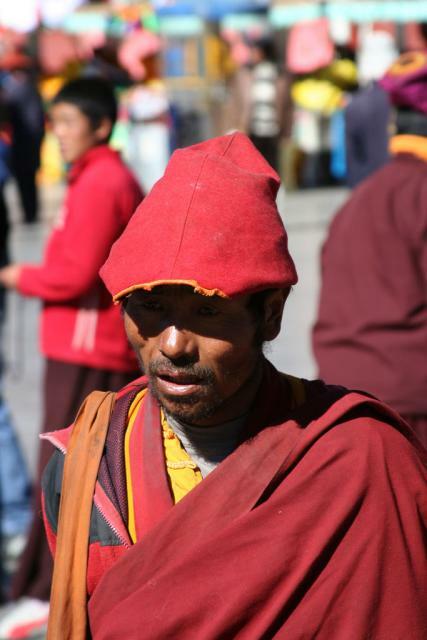 It’s readily apparent that the monks truly enjoy the debates, with the monks smiling and laughing frequently. The debates are a long-standing tradition that will hopefully continue. 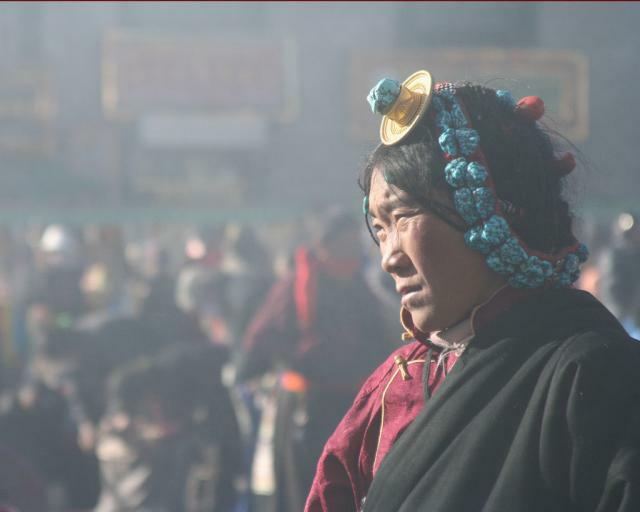 With Shanna in bed with a stomach virus on Sunday afternoon (Tibetan Food – 1; Shanna – 0), I headed to the Drepung Monastery, which at one time was the largest monastery in the world, housing over 7,000 monks. After enduring a bus ride that took an hour and a half (but should have only taken 20 minutes; long story) and then almost getting into a fight with a Chinese cab driver who was trying to rip me off (luckily, I outweighed the guy by about 100 pounds), I made it to the monastery right before closing time. Since this is the low season anyway, I had the monastery free to myself (well, other than the 1,000 monks and countless sheep who live there). After roaming the monastery (which is built on the side of a mountain) for about an hour and getting completely lost, I noticed a monk on top of a nearby building. I waved at him and pointed in both directions trying to get some advice on which way I should go. 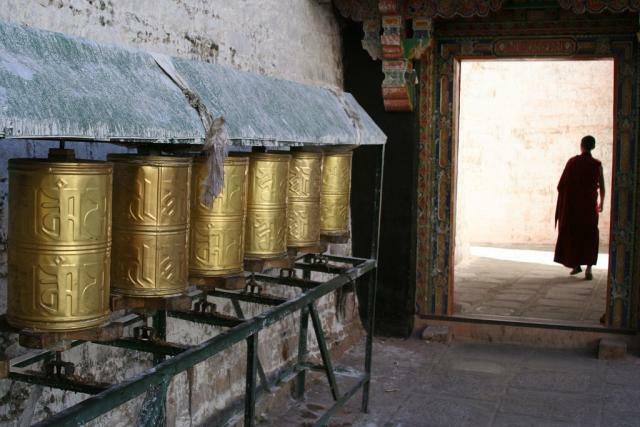 He pointed the way towards his building, which turned out to be the monk’s living quarters. Once I made it to his building, I looked up and asked for further direction. He pointed to the door and made gestures that I should come join him on the roof. Who am I to turn down a monk? 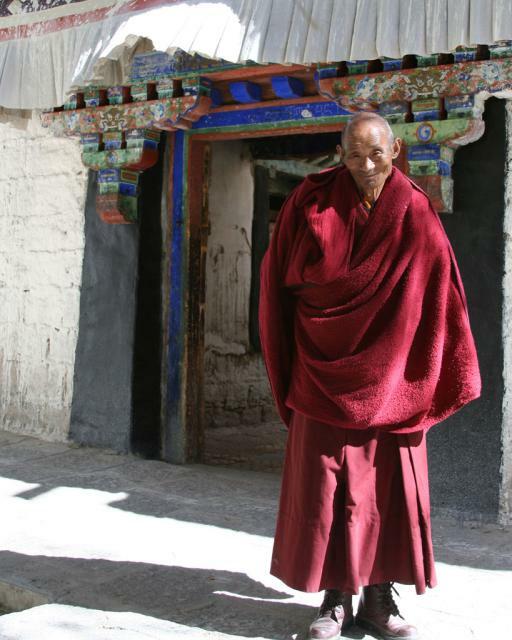 Once upon the roof, the smiling monk – who was enjoying the beautiful afternoon and reading his prayer book – asked if I’d like some tea. Again, who am I to turn down a monk? Next thing you know, I’m following him to his spartan living quarters on the first floor. The room, which was about 8 feet in length, 6 feet wide and 5 feet high, was simply furnished with a tiny cot and about 30 religious books. Attached was a tiny room where there was a small stove for boiling water. Once we entered the room, he offered me a seat on the cot and prepared the tea. For the next hour, we flipped through pages of a Tibetan/English phrasebook he had in his room, trying to learn tidbits of information about each other. 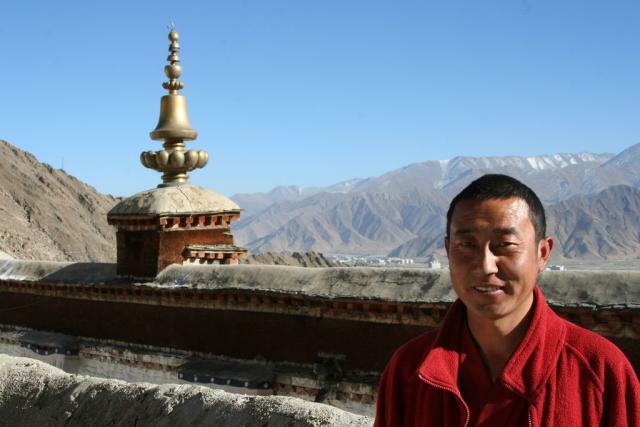 I learned that he was 34, became a monk at 14, was not from Tibet but from a neighboring province, was a big fan of the Dalai Lama and had an older brother who was killed as part of the Cultural Revolution. After drinking several glasses of tea and exhausting all of the relevant phrases in the phrasebook, I said goodbye. It was an experience I will never forget.